The second lecture goes into mechanics of crevasse rescue, and takes into consideration nutrition, health, and hygiene while on a climb. Please scroll to the bottom of the page to access the L2 quiz, and take the quiz as soon as you can within one week after it is posted. The z-pulley is a crevasse rescue system with which you will be required to demonstrate proficiency. The diagram above becomes clearer once you've seen it in action, and walked through it a few times yourself. You will see it demonstrated at L2, and be tested on it in the snow at FT6. Please see Freedom of the Hills for more information about situations in which crevasse rescue becomes necessary, and when you might choose to use this system in particular. The Seattle branch has recorded an excellent walk-through of this system. However, they use a few different knots and hitches than the way we teach it through Tacoma. Both methods are safe and effective. See the video below. The Seattle Mountaineers' Z-pulley demo is below. 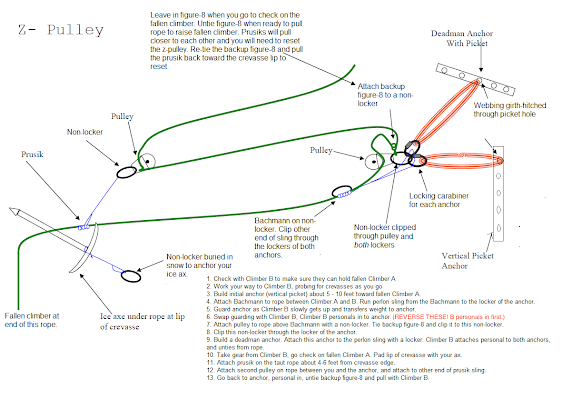 Please note that this video shows some different hitches/knots than the way you will be doing it with the Tacoma branch (prusik instead of Bachmann, etc.). Both systems are safe. Mountaineers Promotive (ExpertVoice): Sign up for the Mountaineers team page to get solid discounts on a lot of brands, including Mountain House (tasty freeze-dried, high-calorie meals), ProBar, and others. 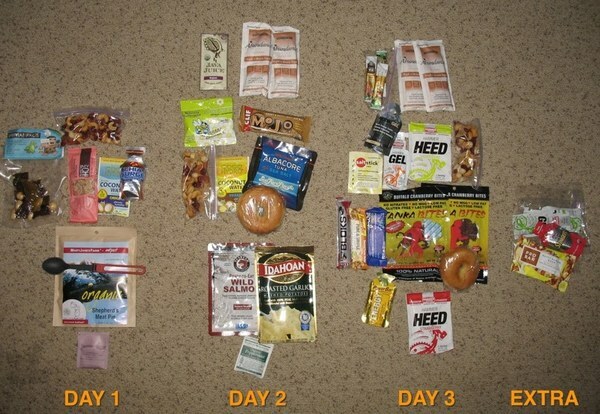 "A Week of Backpacking Meals": This meticulously-detailed photoblog goes through preparations for putting together a week's worth of nutrition for a moderately high-intensity backpacking trip. Calorie-dense and lightweight foods are important considerations that backpacking and climbing share. "Moose Goo" and other high-calorie homemade treats, another resource from an ultralight backpacker. Trader Joe's has a pretty strong selection of dried, packaged, calorie-dense, and other good choices. This chart ranks some calorie-dense foods and lists specific numbers for folks who calculate their loadout precisely. As you heard in the lecture, macronutrients are an important consideration for when you eat different foods. You will be at your strongest eating carbs, fats, and proteins when your body needs them and can utilize them best. 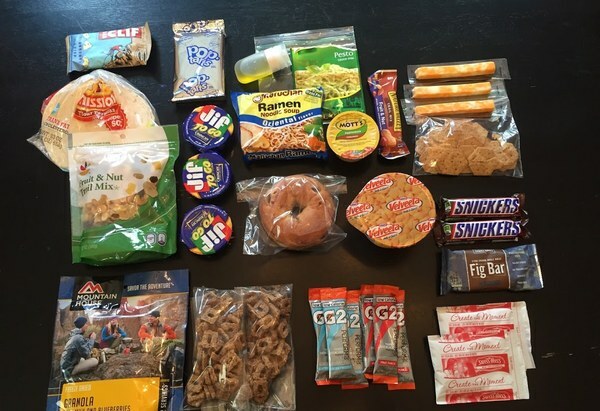 Do a Google Image search for "backpacking food" or "climbing food" for many more examples. Please take this quiz as soon as possible after the lecture. Feel free to refer to your notes, FOTH, manual, etc.